Do You Need to Know How Much A Window Regulator Cost? 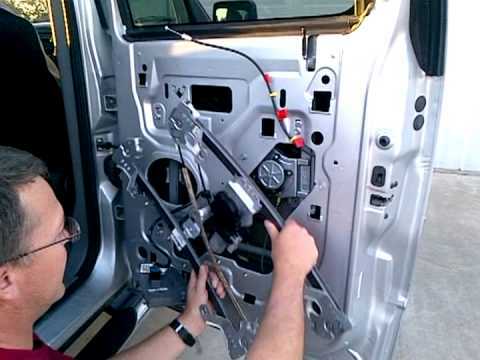 At Pacific Auto Glass, located in Mesa, Chandler, Avondale and Phoenix, Arizona, we provide power window repair and replacement service for your car or truck door glass window regulator. If your vehicle’s door window is not going up or down anymore please call us for a price quote. We do free mobile service for all your glass needs in the metro Phoenix, Arizona area. We come to you at no extra cost. We accept all insurance companies for your auto glass claims. Cable-operated window regulators use a near vertical cable to help the window get into the right position. It’s a more compact design that puts less stress on the motor. But it is also more susceptible towards breaking due to the increased stress that the pulley and cable must harness to raise and lower your window. In most cases, a cable operated window regulator is composed of one thick piece of metal with a pulley and wire attached to it — along with a more compact motor. 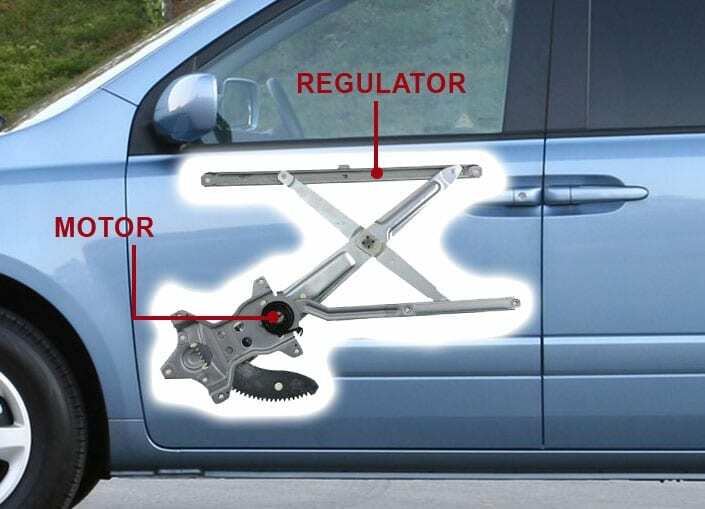 A window regulator assembly is usually a complicated piece of equipment that can require specialized tools and a lot of patience — work best left to a professional mechanic. Need a price quote? Complete the form below to receive your quote. Pacific Auto Glass is family owned and operated and has been serving the Phoenix, AZ area's auto glass replacement and windshield repair needs since 1990. We happily service Phoenix, Mesa, Chandler, Gilbert, Tempe, Scottsdale, and Avondale. Pacific Auto Glass is committed to quality, service, value and honesty to all. We are an English and Spanish bi-lingual company. Se Habla Espanol. COPYRIGHT 2019 PACIFIC AUTO GLASS | ALL RIGHTS RESERVED | Pacific Auto Glass provides mobile windshield repair and auto glass replacement services to the following areas of Arizona: Ahwatukee, Apache Junction, Arizona City, Avondale, Buckeye, Casa Grande, Chandler, Chandler Heights, Coolidge, El Mirage, Eloy, Florence, Fountain Hills, Gilbert, Gold Canyon, Goodyear, Guadalupe, Maricopa, Mesa, Peoria, Phoenix, Queen Creek, Sacaton, Santan, Santan Valley, Scottsdale, Sun Lakes, Surprise, Tempe and Tolleson, Arizona. BUSINESS HOURS Monday-Saturday 8:00 AM to 6:00 PM. All insurance accepted. Visa & MasterCard Accepted. We are certified technicians, licensed, bonded and insured. We offer OEM quality glass and free mobile service. Website developed and maintained by Creative Developments Web Design and SEO Marketing in Tempe, Arizona.